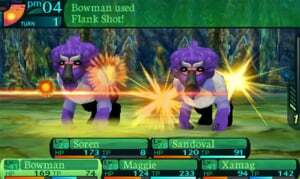 The term "adventure" encompasses many things, but Atlus' Etrian Odyssey series comes about as close as it gets to a pure, digital embodiment of the concept. Blending classic first-person dungeon exploration with a cartographic twist, these games task players with charting out their own maps on the touch screen as they go. 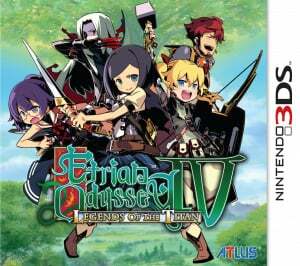 The series' first entry on the 3DS, Etrian Odyssey IV: Legends of the Titan, casts you in the role of a pilgrim recently arrived in the city of Tharsis. The legendary tree of Yggdrasil looms large over the horizon, and you hope to win fame and fortune by taking up a quest to discover the truth behind this enigmatic evergreen. It's a journey that's well worth taking; this is a deep, polished old-school dungeon crawler that will make you feel like a true explorer — and it's far and away the most accessible Etrian outing to date. Like many first-person exploration games, Etrian Odyssey IV is fairly light on story, and what's here is told through unvoiced text. The overarching narrative is intriguing enough, and there are some personable NPCs, but more than anything, this is the story of your resolutely silent guild — the five-member party you assemble from scratch to conquer the mystery of Yggdrasil. There are seven character classes to choose from when building your dream team, with three left to unlock later on. Along with fairly standard sword-wielders, medics, archers, and magic casters, there are some standout creative classes: the Dancer, for instance, is a charismatic assist type with wonderfully named skills like "Regen Waltz", "Chase Samba", and "Attack Tango". Each class has four character designs — two female and two male — with two colour variations to choose from each, so it's simple to put together a party that looks and feels like your own. It's equally easy to adapt characters to your individual play style, thanks to the excellent Skill Tree system. Each class has its own tree, bundling together cascading sequences of active and passive skills that can be learned and upgraded as you level up by spending Skill Points. There's quite a bit of variety within each set, and eventually you're even be able to add subclasses to your characters, giving them access to certain skills from another class. It's also possible to reassign Skill Points for a two-level penalty, so you're never stuck with your first choices. 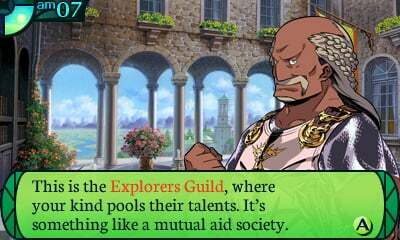 Once you've chosen your guild members, you head into Tharsis, the main hub of Etrian Odyssey IV. This outland outpost is where you'll advance the main story, receive side-quests from the local barmaid, buy and sell goods and upgrade equipment, and recover health after hard-fought battles. Tharsis is made up entirely of menus, which is a bit of a shame — it's a weak point in a game that's otherwise more immersive than you'd expect. Still, any sense of place that's lost in the text-based town is made up for once you venture outside its Unicode-compliant gates and hop into one of the game's coolest features: the skyship. Piloting your party's colourful blimp is a means of both transportation and discovery. 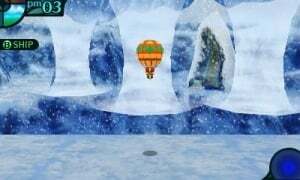 Instead of simply selecting a menu option to move to a new area as in most dungeon crawlers, here you need to find them yourself by exploring three-dimensional overworlds from the air. It's much more than a mini-game — you pick up food, meet NPCs and other adventurers, battle monsters, solve quests and discover hidden areas along the way. You can customise your ship by equipping different items, and eventually you unlock the ability to fly at different altitudes, opening up even more of the map to your airship explorations. 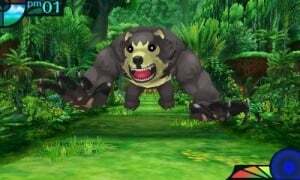 Flying around the overworld feels great, but you'll still spend the majority of your time in Etrian Odyssey IV with feet firmly on the ground in the game's vast labyrinths. These multi-story mazes feature plenty of secrets, traps and light puzzles to solve on the way to the game's colossal bosses. 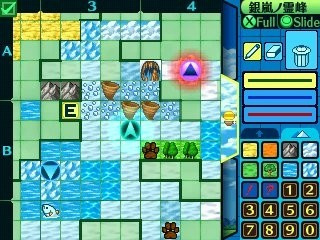 Outside of the main levels, quests often take you on expeditions to smaller, single-floor mazes that hide rare monsters and treasure, as well as the experience points needed to level up for the labyrinths. In addition to frequent random encounters with garden variety enemies, there are also 'FOE's — massively overpowered, visible monsters that roam their territory in predictable patterns. FOEs will chase after you if you're spotted, so you need to study their movements to avoid confronting them before you're ready. Luckily, all movement in Etrian Odyssey IV is turn-based — nothing moves until you do — so it's a thinking exercise rather than a reflex test. Following that philosophy, one of the main hooks of the series is the fact that the all-important maps, which you rely on heavily and constantly, aren't filled in for you as you go. Instead, you're given a blank sheet of digital graph paper on the bottom screen and all the tools necessary to design them yourself. It seems daunting at first, but it quickly blossoms into one of the best features of the game. It encourages creativity as well as accuracy; you can add text annotations to any square, and while you use pre-set symbols to create your map, what each icon represents on your map is entirely up to you. Of course, with so many monsters roaming the mazes, it's not long before you need to put down the pen to pick up your sword. 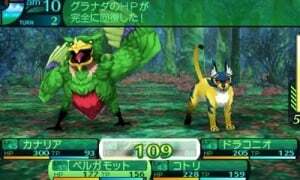 Etrian Odyssey IV's numerous battles are engaging, difficult and — importantly — lots of fun. Many of the usual trappings of dungeon crawling combat are present here — two rows in both your party and enemy formations, ranged and melee attacks, status conditions and so on — but they all come together wonderfully to create a deeply strategic system that makes every battle feel unique. Formations play a big role, with attacks that can hit entire rows of foes, pierce through both lines, or spill over to adjacent enemies. Status conditions — like blindness, paralysis and poison — are important too, and a lot more effective here than in most RPGs. You can also micro-manage your attacks to focus on incredibly specific areas, using an arrow shot to take out an enemy's arms, or a spell to bind their legs, for example. 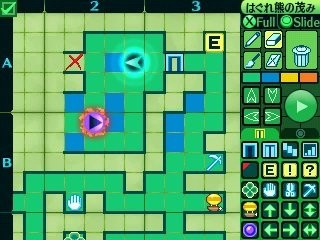 Another component of the battle system is Burst skills. These are techniques accessible to the entire party, and rather than using up a party member's turn and TP, they're cast using levels of a Street Fighter Alpha-esque Burst gauge on the right side of the screen that fills up as you dish out damage. Their effects cover everything from increasing defence or attack stats to ensuring a speedy escape from an impossible fight, and they're invaluable in tougher battles. With its endless customisation options, DIY mapping, and rather frequent deaths, jumping into the Etrian Odyssey series can seem intimidating for a first-time explorer, and this is definitely a tough game. Money is always tight, the lowliest of enemies can be a threat on your first foray into a maze and there will be plenty of times when you'll have to grind to advance. There's very little hand-holding, and the game is quite happy to let you charge off in the wrong direction towards unbeatable enemies with a party of five Medics, if you so choose. 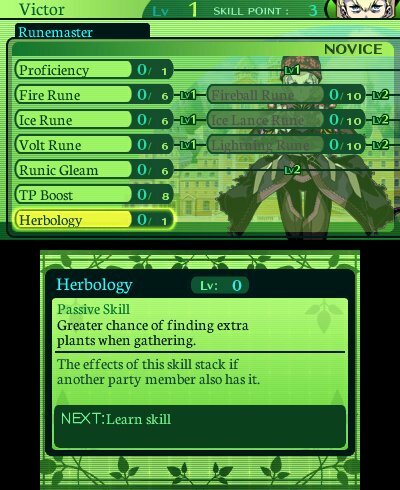 Luckily, Etrian Odyssey IV takes a page from Fire Emblem: Awakening's book with the welcome addition of an optional "Casual" mode. Besides making battles slightly less punishing, playing in Casual mode means that you'll wake up fully healed in Tharsis if your party is defeated in battle, rather than being sent to a game over screen. It also lets you use certain single-use items an indefinite number of times — like the Ariadne Threads, which serve as one-way warps back to town. There's still plenty of challenge to be found in Casual mode, but these tweaks go a long way towards creating a more accessible, forgiving experience — dying no longer has to mean losing an hour of painstakingly precise mapmaking, for instance. Best of all, you can switch between Casual and Normal modes at any time while in Tharsis, so there's no need to commit to one or the other before you begin. No matter which difficulty you chose, there's a palpable sense of adventure that runs through every moment of the game. A huge part of that stems from the fact that you chart your own way, of course — it's hard to overstate the sense of accomplishment that comes from completing a detailed map of previously uncharted territory. But just as often, it comes from the little things: being able to look around with the analogue camera to see treetops swaying gently, or your skyship parked where you left it at the beginning of a labyrinth, hearing the musical flourishes when a FOE spots your party, watching day give way to night as you plunge further into your expedition. It all adds up into an incredibly immersive experience. That feeling of immersion is certainly helped by the game's presentation. Everything is bathed in a gentle, organic palette that complements the setting perfectly, the animé-inspired character art is fantastic — though we do wish it was visible more often — and the fully animated polygonal enemies are beautifully rendered in a soft style that's reminiscent of Ni No Kuni. The environments are equally alluring: a far cry from the claustrophobic corridors of most dungeon crawlers, these labyrinths are lush forests with sky-high canopies, sun-drenched orchards, and phosphorescent fens. There's none of the doom and gloom normally associated with the genre; even with all its dangers, it's a genuinely pleasant world to explore. Etrian Odyssey IV's fully orchestrated soundtrack deserves a special mention. It's impressively varied, but unified by its instrumentation, and sets the tone wonderfully for each area of the game. There's the breezy, 70's sitcom-esque theme of Tharsis, the melancholy jazz that accompanies late night tavern visits, the triumphant call to arms of the Explorers Guild, and the pulse-pounding uptempo battle music, to name a few. Most importantly, the labyrinth themes stand up to many hours of repeat listening — they're beautiful and atmospheric, melodic without being overpowering, and impart a true feeling of quiet awe to your journey. Given how good the game looks and sounds on the 3DS, it's a shame that its use of the 3D effect is so disappointing. It creates a nice layered pop-up look in Tharsis' two-dimensional scenes, but falls flat in the field: menus sit in the foreground, while everything else — enemies on both lines, environments, plants, rocks, you name it — lies in the same background plane. Rather than adding any sort of depth to the visuals, it gives the impression of playing a non-stereoscopic game through an HUD-enhanced peephole. You also might have to fiddle with the 3D slider to find a spot where everything works — from time to time we experienced text tearing, minor graphical glitches and layer-hopping menu items that required adjusting to set right. 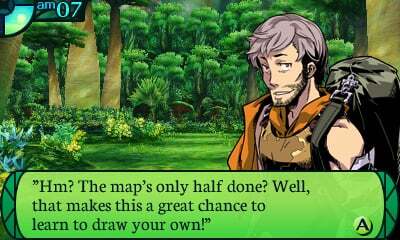 For the most part, Etrian Odyssey IV controls just how you'd expect it to, and its mix of first-person exploration and on-the-fly cartography really is a perfect fit for the dual-screen system. Movement is handled with the D-Pad (and shoulder buttons for sidestepping), the Circle Pad is used both to look around and pan the map, depending on context, and the stylus takes care of mapmaking on the bottom screen. Our only control complaint is that there's no option to use the touch screen in battle. Instead, the bottom screen continues to display the map during fight sequences, meaning you're free to do a bit of chart tweaking between turns if you so choose. While that can occasionally be useful, it doesn't seem like the sensible default; the top screen's many menu elements unnecessarily obscure much of the action during battle, and the menu-based interface would be a natural fit for the stylus. 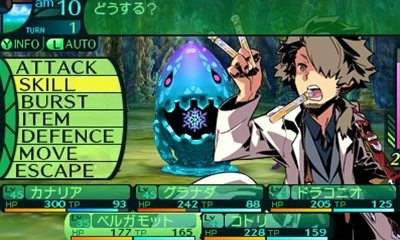 For players inspired enough to take their exploration into the real world, Etrian Odyssey IV features StreetPass integration for swapping Guild Cards. These cards show statistics, party members and a brief message, and you can even add a character from Guild Cards you've StreetPassed to your own party, provided they're the same level or lower. There's also a handy option to generate and receive QR codes, enabling players to swap Guild Cards over the internet. A real sense of exploration and wonder, deeply customisable characters, engaging combat and the sublime satisfaction that comes from proceeding through an adventure using your own, handmade maps — Etrian Odyssey IV wraps all these up in a beautiful, pastel package that dungeon crawling fans will absolutely love. It's still an old-school experience at heart, and players put off by serious difficulty, grinding, or the lack of a character-driven narrative won't find what they're looking for here, but the addition of a Casual mode means anyone taken in by the enchanting road to Yggdrasil will be able to enjoy it at their own pace. For all the time you'll spend carefully mapping your way through this game, it's amazing how easy it is to lose yourself in it. Nice review! I am going to get this for sure! I kind of want this but should I play the others first? Even in nintendo life, F.O.E! I'm impressed you got the review in so soon. Anyways, this game is quickly becoming an all time favorite. I have no clue how they'll be able to top it the next game, if that's even possible. I love the art style. Took me a while to like the game when I tried the demo, but I think I'll buy it. One word: Awesome. Also, suprised Wendy has commented yet, too busy playing EOIV, lol. I didn't like the demo much. The 3D effect was not there, basically a 2D environment set back into the screen. That is not 3D. They could have had the layers they use on different 3D planes. They didn't and that is just plain lazy. @DaveC What are you even talking about? The 3D effect is definitely there. There's definitely depth to the scenery and battles. I don't really notice the 3D much in any game, but I actually felt it added to the game here. @DaveC Not lazy but an artistic choice. In my opinion they wanted to keep the classic feel of a dungeon crawler and just highlight the menus. Just because the system has the ability to do 3D doesn't mean it has to. Heck most games I play I play in 2D because they are dizzying to play in 3D. This was the first game I've found that I could play in 3D and enjoy it for extended periods of time. @Pichuka97 There's no need to play the prior entries in the series. Etrian Odyssey IV is far superior to EO III (as much as I loved EO III), and there's no major storyline continuity to worry about. If you find that you like EO IV and want more, though, EO I - III might be fun to play simply to watch the series' evolution. I'd be playing right now if not for a) clearly commenting instead of playing anything, and b) Gamestop frakked up my pre-order in the stupidest, let's-make-sure-our-staff-fits-the-worst-stereotypes manner possible, so I get to head back there tomorrow. I hope Casual mode in successful in drawing people in; I won't use it in turn-based RPGs, but I use it in enough other games (see: anything from Treasure) that I understand its appeal. Jk, man good review. Pretty much covered everything too Etrian Odyssey is the best! I don't have the extra money for this (and Picdun 2 is eating away my gaming time, anyways), but glad to see it turned out well. @Pichuka97 These games are very light on story so it's not needed at all. Was not expecting to see this well ever lol. It's one of those games you are never sure you will see a review on this site. Glad it did so well as it definitely deserves it. I can't put it down but I do wish I had more time to play it. Great review and write up. You must of played none stop since you got it and it looks like you didn't mind one bit!! Am I the only one who isn't happy that Atlus skimped by not including a physical instruction booklet? :'-( i'll purchase this for sure in the future, I have too much games to buy and I burned myself with unchained blades(I have to finish because it will be a waste if I do not). @KnightRider666 Hm...just found out about that (had download version). The game comes with an artbook doesn't it? It also walks you through most of the stuff in game as well. The one problem with what they did was that you cannot look at the manual at the same time as playing the game (the virtual manual looks pretty much like what a physical one would look like). I guess it's a cost cutting measure, which kind of makes sense due to how Atlus operates. Great review. As a big EO fan, I'm absolutely loving this one. Wouldn't say it's quite dethroned III yet, but airship > boat by a country mile (even if the bay music was wonderful). Wasn't planning on picking this up, but i think i changed my mind. Sounds really fun! Thank you eshop! I can't get this now, but I can download it when I have the money. Why must so many good games come out now?! I may play this game in 2018 when the game will be released in EU! Anyway seems like a great game. Yet another quality addition to 3DS software library. System continues to grow in reputation. Good review. @belmont M. Shibata announced during the last Nintendo Direct that it will be coming spring 2013 in Europe. So there's not a long time to wait now! Anyway, I definitely consider it now that I'm more into dungeon crawler games (Chocobo's Dungeon on Wii was a good way to start). The 9/10 intrigues me but I'll stay away for now. I got my copy 3 days ago, the game is absolutely amazing. I love the updated graphics and the "free look" camera, both make the labyrinth seem more vibrant and alive than ever. Having finished E.O. III not too long ago, I felt right at home with this new instalment. I'm applying my old tactics and so far it works like a charm. "There's very little hand-holding, and the game is quite happy to let you charge off in the wrong direction towards unbeatable enemies with a party of five Medics, if you so choose." Now, who in their right mind would ever do that? @KodaSmoss Thanks, I haven't heard about it! I wonder who the publisher will be though because some don't send copies in my country. I may go for the digital version (if Nintendo decides to publish prepaid cards). Chocobo's Dungeon was very good by the way. Excellent review, very detailed and certainly got me interested in the game. I will definitely get this when it comes to Europe, whether this is a physical release or e-shop only. One of the features that really got my interest is the map-making; reading that part of the review takes me back to playing games like Phantasy Star on the Sega Master System, i sat for hours mapping the dungeons on graph paper, and would agree about the comment about the sense of accomplishment seeing the finished map. Didn't like the demo that much so I won't be picking this up. So does this game look/play better on the 3DS or the XL? @Ernest_The_Crab: Actually it doesn't. I hold Atlus to a high standard. They usually go all out. This is very unusual of them. 3D effect in dungeons, battles, and overworld is awesome. I found myself getting addicted to drawing out the dungeon maps in the demo. Needless to say, I'll definitely be keeping this game on my radar. The demo was pretty darn good if you ask me. The only problem for me is the supposedly high difficulty, though that is why there is a casual mode and that is what I would likely play it on for my first time through. I don't understand how anyone who calls themself a gamer could dislike this god of a game. Everything is perfect; graphics, music, dungeons, EVERYTHING! I'm loving this game, the casual mode makes things easier without making them easy and the map making is incredibly addicting, it's amazing. The review makes me want this game. If it really does come out in Europe in the spring I may well pick it up. I couldn't even make it through the demo, just not my taste at all. Been enjoying this since early March and would give it an 8.5 on the personal portable RPG scale. If you're into level grinding and cave exploring in a RPG, then you'll probably like it a lot. There seems to be little story, yet the narrative and npc's have some personality. Popping in and out just often enough where its not annoying and actually breaks things up a bit. Fun game, but its certainly not for everyone. I've clocked around 40 hours in now and I've been lovin it!!! I'd give it a 9.7/10 if I could, as the game is just really good!! I asked for this in my VG shop and the guy said June!!! "Instead, the bottom screen continues to display the map during fight sequences, meaning you're free to do a bit of chart tweaking between turns if you so choose. While that can occasionally be useful, it doesn't seem like the sensible default; the top screen's many menu elements unnecessarily obscure much of the action during battle, and the menu-based interface would be a natural fit for the stylus." That's because FOEs can move each turn you're in battle. $20 on the eshop, Xmas special.. Is it worth it? I'm going to bite.